Saint Gregory, Iconographer of the Caves, was a colleague of Saint Alypius of the Caves (August 17). In the “Accounts of the holy Iconographers” it says that he painted many wonderworking icons throughout the Russian Land. 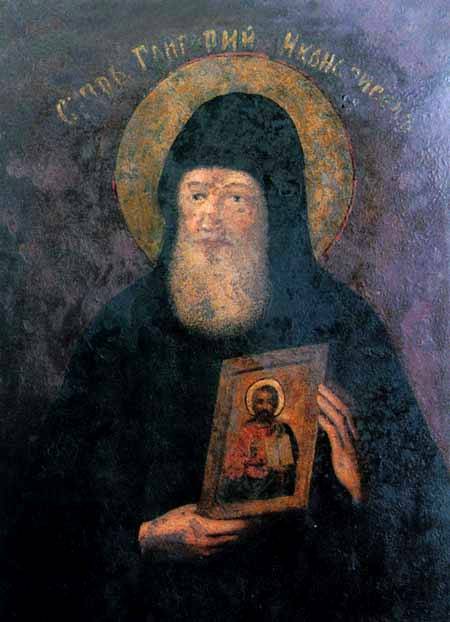 In the Ninth Ode of the Canon of the Service of the Synaxis of the Kiev Caves Monastics, Venerated in the Near Caves (September 28), Saint Gregory is called a “Byzantine.” This probably means that he was among the number of iconographers who had come from Constantinople to Kiev to embellish the Great Church of the monastery, dedicated in honor of the Dormition of the Most Holy Theotokos.